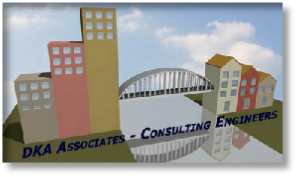 “DΚΑ: Consulting Engineers, Designers, Implementation Engineers" was founded in 1992 by Dimitris Antonopoulos with Master of Civil Engineering from Democritus University of Thrace. Since then, “Dka: Consulting Engineers, Designers, Implementation Engineers" in cooperation with other engineering firms have implemented a large number of projects, focusing on design, construction monitoring, supervision, etc. Knowledge of the regulations & Codes of Practice. Efficiency, economy, speed, and determination on our approach. Keeping our customers up to date with the progress of our projects.